Welcome to the IUEM Advocacy Blog! Here you’ll find updates on advocacy projects happening within the residency, links to great articles and ways that you can help advocate for some great people around Indianapolis. Think it sounds awesome? It is! Look how much fun the kids of the Daniel Webster Elementary School are having as a part of Sean Thompson and Michele McDaniel’s Triathlon Club! 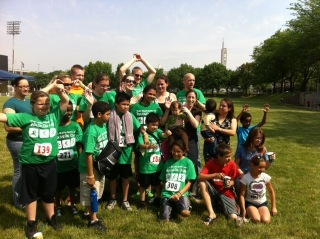 IUEM residents came together to provide gear, train and cheer on these kids to all successfully complete a triathlon! Stay tuned for more info on the triathlon club and many more projects. If you’d like to contribute to the blog feel free to contact us at iuemadvocacy@gmail.com.